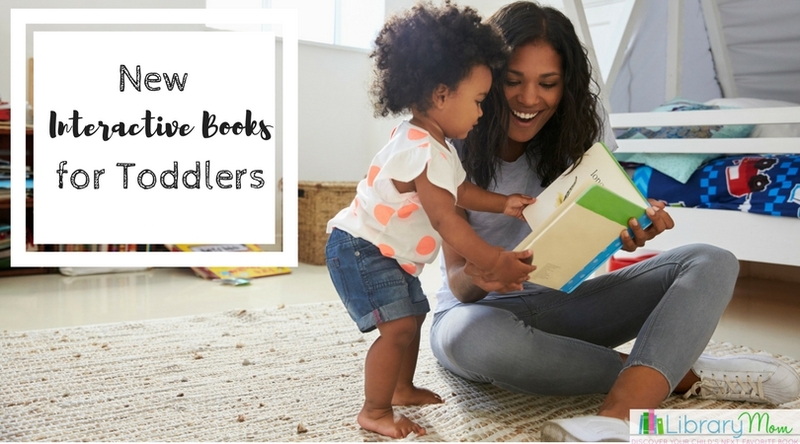 Once toddlers are ready to move from board books to picture books, it can be difficult to find the perfect picture book that keeps their attention. Children this age usually gravitate toward books with bright pictures, sparse text, and a story with a simple plot. They also love books that illustrate a song. 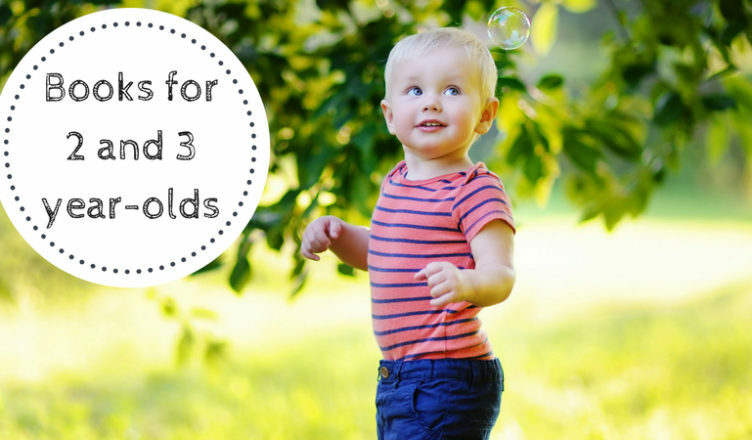 Here are a few of our favorites for toddlers ready to move up to “big kid” books. 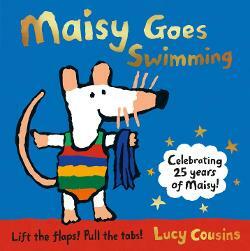 The Maisy series features the adventures of an adorable little mouse. Toddlers will delight in watching Maisy and her friends experience many of the same activities they do including bedtime, getting dressed, going on vacation, swimming, etc. Since so many different topics are covered in a child-friendly way, this series not only makes for an entertaining read aloud, but also serves as a nice way to prepare children for a new experience. This series appears in many different formats including picture books, board books, and lift the flap versions. 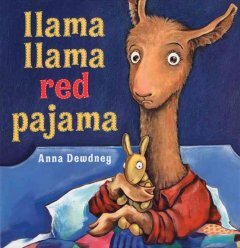 I actually didn’t love the first book in the series, Llama Llama Red Pajama, because I thought it would make my own son afraid of going to bed, but I absolutely adore every other book in the series. My favorites are Llama Llama Time to Share and Nelly Gnu and Daddy Too. Short rhymes and cute illustrations make this series a classic. There is a picture book series and a board book series for younger toddlers. We just love Shirley Parenteau’s Bear on Chairs series! 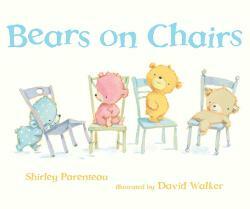 The adorable bears illustrated by David Walker could not be cuter and the simple storylines are perfect for toddlers. Short text follows the bears as they take baths, go to bed, play in a band, enjoy a spring day, etc. This series is available in both board book and picture book format. This series follows the adventures of two friends, Bear and Mole. Each book has warm illustrations featuring the duo often smiling. In the first installment, Mole tries to arouse Bear from his long Winter nap, but none of his techniques including door knocking, nose tickling, or horn playing work. He finally makes pancakes and the delicious smell wakes up Bear just as Mole falls asleep after his hard day’s work. Filled with only a few words on a page, charming illustrations, and cheerful stories these books are perfect for toddlers. This classic tale is always a winner with young children. Readers will love following a family as they cross a field, river, and forest on their quest to find a bear. It’s rhythmic text and action packed storyline makes it perfect for reading aloud and acting out. 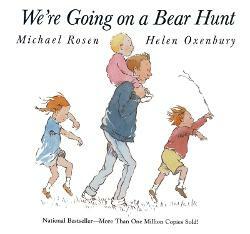 My son loved it so much that we would play a game at home reciting lines from the book and going on our own hunt. 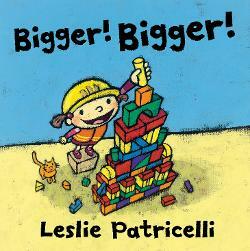 We love Leslie Patricelli’s board books around here, so I couldn’t wait to share her newest picture book, Bigger! Bigger! with my little ones. I was not disappointed. This quickly became a bedtime favorite with my three-year-old. The straightforward storyline focuses on a little girl using her imagination to build bigger and bigger creations with her blocks. Unfortunately, all of her hard work is destroyed when her little brother (the baby from Patricelli’s board books) knocks over the buildings. His elation immediately turns to sorrow as he realizes he upset his sister. Instead of becoming angry, she hands over her hard hat and invites her brother to build an even stronger tower together. Deceptively simple, this sweet story covers some pretty big topics. I love how it celebrates children’s imaginations while also highlighting a common scenario amongst kids. There is just something tempting about knocking down a tower of blocks and it happens all the time at home with siblings or at daycare or school among classmates. The girl’s disappointment is clear as is her little brother’s regret. The decision to forgive instead of getting angry leads to a happy and satisfying conclusion that will hopefully serve as a model for other children. In addition, this book serves as a wonderful invitation for children to build their own creations while having a discussion on size. My two-year-old daughter has reached the stage of wanting to be independent and do everything herself including getting dressed. 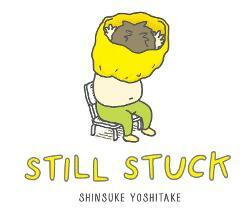 Still Stuck by Shinsuke Yoshitake was the perfect book for us to read because it tells the hilarious story of a young boy attempting to get undressed by himself and becomes stuck in his shirt in the process. Being a stubborn toddler, he decides that maybe he can live the rest of his life stuck in his shirt instead of asking for help. He comes up with several clever solutions to problems he encounters while stuck, but when he decides to take his pants off too, he realizes he is in real trouble. After giving him some space, his mom returns, quickly picks him up, and carts him off to the bath. While preparing for bed, he doesn’t learn his lesson and becomes stuck in his pajamas once again leaving the reader with one last laugh. Because we are experiencing the same situation almost daily in our household, we found this book to be absolutely hilarious. My daughter found the obstinate boy to be a kindred spirit and wanted to read the book again and again. The story always makes me chuckle as well, so I didn’t mind the repeated readings. Even my five-year-old thought it was funny making it a great read aloud for the entire family. There is a reason this classic alphabet book is still read in preschools today. Its rhythmic text paired with Lois Ehlert’s signature artwork makes for an engaging and amusing book that begs to be read aloud. 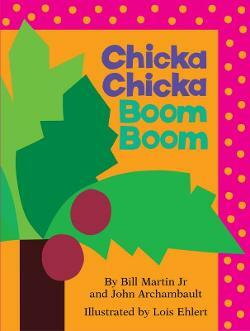 The story focuses on lowercase letters who climb a coconut tree. When they all reach the top, however, they are too heavy and fall into a pile. Parents represented by upper-case letters rush to help the little abc’s. Nonsensical, fun, and perfect inspiration for extension activities, this book is a must have. 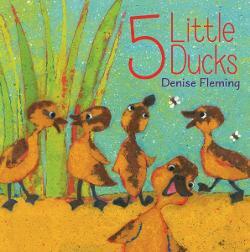 Five Little Ducks is one of my children’s favorite songs to sing and was always popular when I conducted storytimes. Diverging slightly from the original, Denise Fleming has now created a visually stimulating representation of the classic song. Mama Duck has been changed to Papa Duck and farmyard and forest animals are included to visually explain why each duck is delayed in returning home. Fun facts about each animal seen are presented in the back of the book for additional learning. Days of the week have also been incorporated into the lyrics making this a perfect tool for reinforcing this important concept to young children. As in the original, each verse ends with one duck missing, presenting an excellent opportunity to also practice subtraction skills through song. 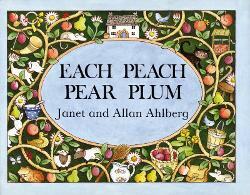 This is a great story to share with young children at home or use with a flannel board story at a preschool. I love most books that celebrate uniqueness and Todd Parr is the master of making kids feel good about themselves. Todd Parr’s brightly colored signature illustrations and positive messages presented using simple language, makes his books standouts for young children. A few of our favorites are It’s Okay to Make Mistakes The Family Book, It’s Okay to Be Different, The Feelings Book, and The Peace Book. This was without a doubt one of my son’s absolute favorite books as a toddler. I probably still have it memorized. This is one of those books that is fun to read multiple times because there are many reoccurring details in the illustrations that are entertaining to point out throughout various scenes in the book. 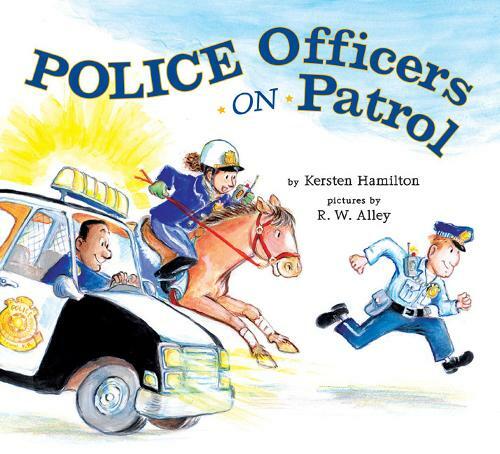 The soft color palette and rhyming refrain makes this an inviting and engaging picture book that gives a nice overview of a police officer’s many duties. Furthermore, it is also a natural prompt for a talk on safety . 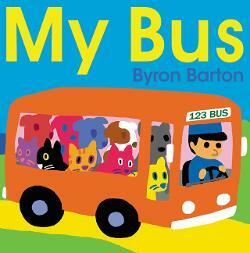 Byron Barton is well known for his board book series featuring chunky, colorful illustrations. 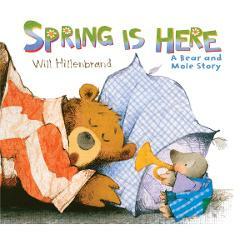 His picture books use his same signature artwork and simple text to tell entertaining stories for toddlers. In My Bus, children meet Joe who picks up several cats and dogs and drives them to a plane, train, or boat. Since he makes several stops picking up and dropping off animals, the book provides an excellent opportunity to naturally work in addition and subtraction skills. This story follows a family of three as they travel from the grocery store to the country for a picnic. Each time the family encounters a person or animal, the mother asks the baby what sound they make. 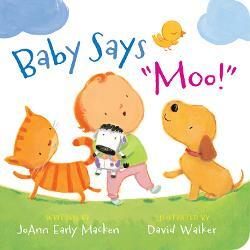 Toting a stuffed cow, the baby replies “Moo” to each question. Using sing song rhymes, the mother corrects him. “People say moo? That can’t be so. Everybody knows that people say hello. A cow says moo, sure as you’re my bunny. Where’d you ever find an idea so funny?” Each sound is repeated with every new addition reinforcing all of the noises. This story begs for the reader to participate. Whether reading to a group during storytime or with a child on your lap, children will find pleasure in yelling out “Moo” every time the baby is asked about a sound. This cheerful rhyming book is fun for the whole family. 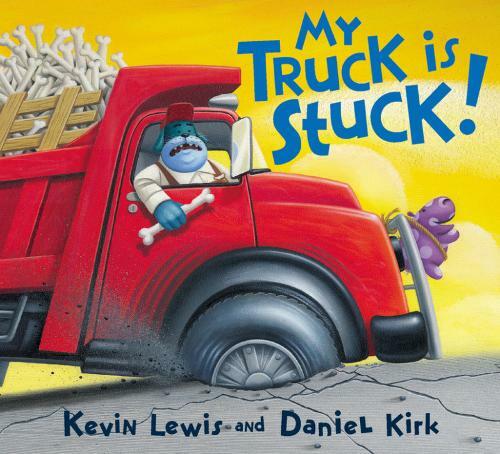 This engaging story focuses on two dogs whose dump truck gets stuck in a hole. Each passing vehicle stops and attempts to pull them out, but it isn’t until a tow truck arrives on the scene that they are successful. The rhyming text and colorful illustrations makes this a winning read aloud, but what makes it really standout is the ability to use it to teach children counting, colors, and the importance of helping others. 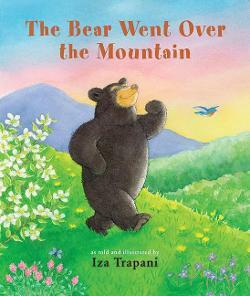 Many of us may be familiar with the song of a bear going over the mountain to see what he could see, but this book creates a full sensory experience as the bear hears, touches, tastes, and smells throughout various seasons. Both of my children loved this book and it provided a perfect way to discuss the five senses with them. The rhyming versus and active illustrations make for a great read aloud to a group as well. If readers are unfamiliar with the original song, music is provided in the back of the book. For some reason underwear is hilarious to kids and the idea of vegetables in underwear is especially funny. The story centers on a little floret of broccoli who leads the reader on a tour celebrating underwear. 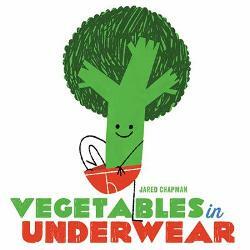 Using brightly colored illustrations surrounded by white space, an assortment of vegetables present different types of underwear. This book also slyly weaves in opposites and days of the week making it not only funny but educational as well! The story can also be good inspiration for potty training. One two-page spread points out that the baby veggies still have to wear diapers and only the big kid veggies get special undies. This will hopefully inspire other big kid wanna-be’s to put their soggy diapers behind them and graduate to their own underwear. Starting at daybreak, this story follows two neighbors with young children who visit the zoo together. Children will enjoy seeing the characters follow many of the same daily activities they experience such as eating meals, getting dressed, having a bath, riding a stroller, etc. 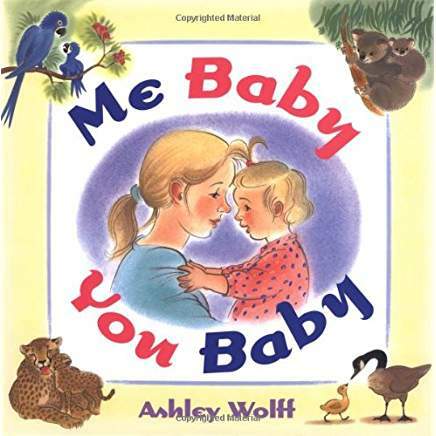 This book has a dated feel to it and some parents might find the repetition of the “me baby, you baby” refrain annoying, but my kids could not get enough of this book. They requested that I check it out multiple times from the library and it was one that we read every night for months. I still have it memorized. 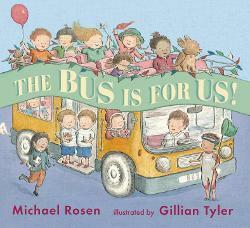 A group of diverse children share their favorite means of transportation uniting in their love of buses. The simple rhyming text with only a few words on a page make this a natural read aloud for storytimes or one-on-one sharing with a small child on your lap. The vehicles range from the typical trains and cars to more the more imaginative, “Sometimes I wish I could ride on a fish. If I were allowed, I’d sit on a cloud.” This is a sweet story that can also be used as a conversation starter asking what a child’s favorite vehicle is. This was one of my favorite books as a child and I was thrilled that my daughter loves it as much as I do. Each two-page-spread features a rhyming couplet about a fairytale or nursery rhyme character on one side with a charming illustration of the character hidden on the opposite page. At times, the characters can be difficult to spot with only a body part showing, but once my daughter discovered all the characters, she absolutely loved pointing them out as we read the book again and again. The final scene features everyone eating the pie together and we both enjoyed discussing who each character is. The only thing I don’t like about the book is that the three bears are featured in hunting clothes with guns. This was a little tricky to explain to my curious two-year-old who had never seen a gun. The vintage hunting clothes are quaint and I’m sure most people won’t bat an eye at them (I certainly didn’t notice or remember from my childhood), but felt it was worth mentioning.